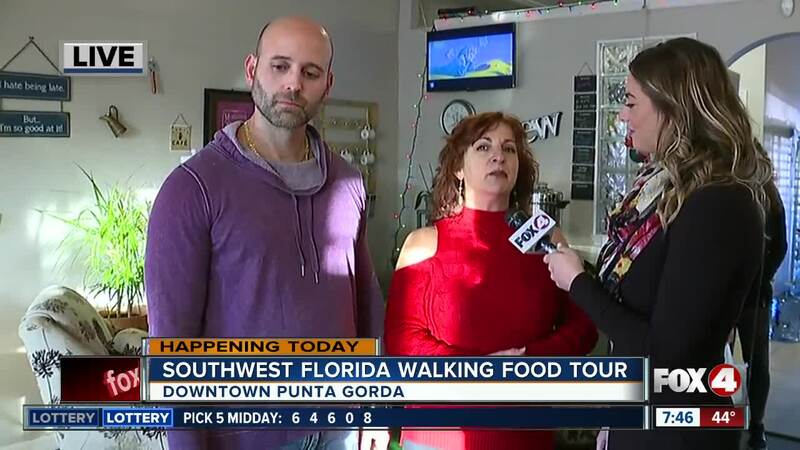 SW Florida Walking Food Tours is a locally owned and operated business, that will take you through the history of Downtown Punta Gorda, while highlighting some of the local restaurants during a three hour walking food tour. 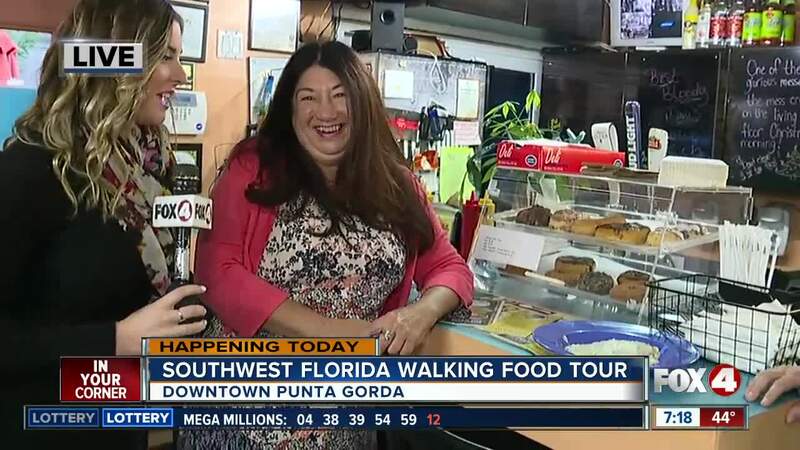 PUNTA GORDA, Fla. — SW Florida Walking Food Tours is a locally owned and operated business, that will take you through the history of Downtown Punta Gorda, while highlighting some of the local restaurants during a three hour walking food tour. Food tours are on Wednesdays from 11 a.m. to 2 p.m. and run until April 30th. Tickets are $59 and you can try 5 local food stops while on the tour. There are also walking pub tours, haunted history tours, fitness tours, garden tours and photography tours. Click here for more information.